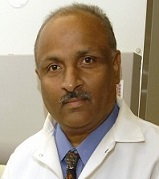 Pankaj B. Desai is currently Professor and Director, Drug Development Graduate Program, College of Pharmacy, University of Cincinnati, Cincinnati, OH. Dr. Desai received his B.S. degree from Birla Institute, India and M.S. degree from Gujarat University, India. Dr. Desai received his Ph.D. degree in pharmaceutical sciences from University of South Carolina, Columbia, SC. Dr. Desai research interests include pre-clinical and clinical studies on drug metabolism, transport and pharmacokinetics. The current focus of his laboratory is on the regulation of drug-metabolizing enzymes and its relevance to clinical pharmacology of anti-cancer and antiretroviral drugs.